Wendy Darling is named after the female protagonist in Peter Pan. You know, the girl that didn’t want to grow up. But this San Diego band, fronted by Cori Rush’s authoritative vocals, is clearly comprised of worldly-wise grownups. This four-piece’s sound is best described as rock, with folk touches. For instance, “Better than Penelope” floats with a gentle, contemplative feel that brings early The Smiths music to mind – especially with its Johnny Marr-like acoustic guitar part. One track, “Greenroom”, verges on harder rock, although nothing here ever drowns out Rush’s beguiling vocals. There are also moments where Wendy Darling’s music even sounds a little magical – much like the story of Peter Pan – which happens with “Persistence of Will”; a track that includes chimes and Jon Freeman’s banjo. “ANON”, with little more than its quiet keyboard backing, is so hushed it might well stop you in your tracks. And Rush’s singing overall, which transforms these half-told bedtime stories into lullabies, will fill your late night room with tangible emotional warmth. 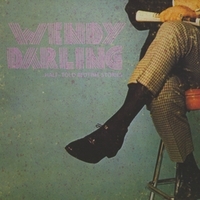 If you didn’t know any better, you might assume Wendy Darling is an actual female artist’s name (not a group moniker) and that Half-Told Bedtime Stories represent her musical journals. That’s because most of these song lyrics are confessional, much like all the singer/songwriter material in the ‘70s. Nevertheless, the crafty use of modem sound effects in “We Are” offer a reminder that Wendy Darling is, indeed, steadfastly a modern rock act. The sound of Half-Told Bedtime Stories may sooth you to sleep, while its lyrics might keep you up at night, which makes it a bit of a lovely paradox. To check out more about Wendy Darling and hear the band’s music, please visit http://www.myspace.com/wendydarlingrock or WendyDarlingBand.com.